In episode 279, Douglas Brown interviews Dane Young, Virtualization Practice Manager at Entisys360. 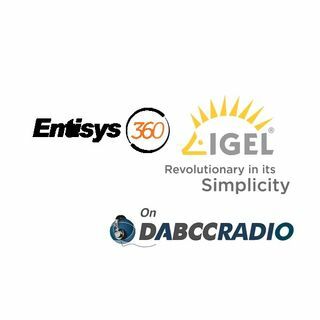 Douglas and Dane discuss Entisys360’s new Workspace Cloud offering, what it is, the design, what it means to us, along with how they have incorporated IGEL’s UMS management software and end-point devices in to the offering. IGEL’s end-point management solutions in technical detail. Matthias explains what’s, the why and how, and all in deep technical detail! Learn the technical ‘how’ behind ... See More why everyone is talking about IGEL! DANE YOUNG (@youngtech) is a Citrix Technology Professional (CTP), VMware vExpert and EUC Champion, and technology enthusiast. Dane is the Virtualization Practice Manager at Entisys360 in Northern California specializing in application, desktop, and server virtualization technologies from Citrix, Microsoft and VMware. Dane maintains a virtualization focused blog that can be found at http://tech.daneyoung.com. He has obtained a number of technical certifications from Citrix, Microsoft, and VMware. Dane currently holds Master of Business Administration and Management Information Systems degrees. You can learn more about Dane at http://www.daneyoung.com.